National Brand Awards - In Collaboration with "International Nobel Peace Prize Recommendation Forum-INPPRF" and "National Brand Committee - NBA". 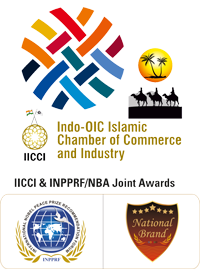 The Indo-OIC Islamic Chamber of Commerce and Industry -IICCI has signed a MOU with INPPRF and NBA joinly that all category of Awards of National Brands Awards would be given each year to IICCI Members in OIC Nations. The International Non-Olympic Committee-INOC has approved joint award program with "International Nobel Peace Prize Recommendation Forum-INPPRF" and "National Brand Committee - NBA"." 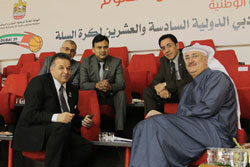 The INPPRF and NBA has jointly created an unique (5) five category of awards to identify, recognize, facilitate and issue certificate etc., to those who are eligible for these categories as National Brand Awards from Business, Industry, Individual and International Education Awards from Global Education Society.